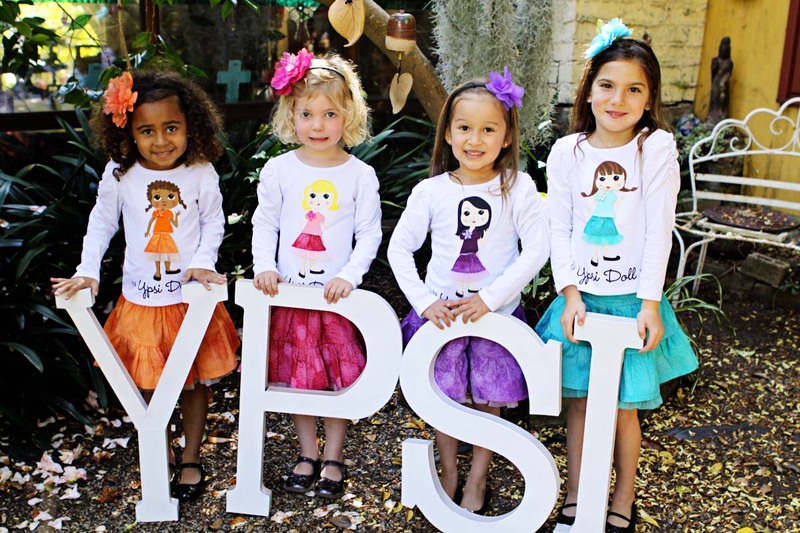 During this “starting a business process”, we were looking for the perfect skirt to accompany the Ypsi Doll T-shirts. I bought some different skirts at stores and scoured magazines and websites. In the middle of this search, Aunt Graciela gave my girls two adorable skirts. My girlies LOVE them. I fell in love with them, too. 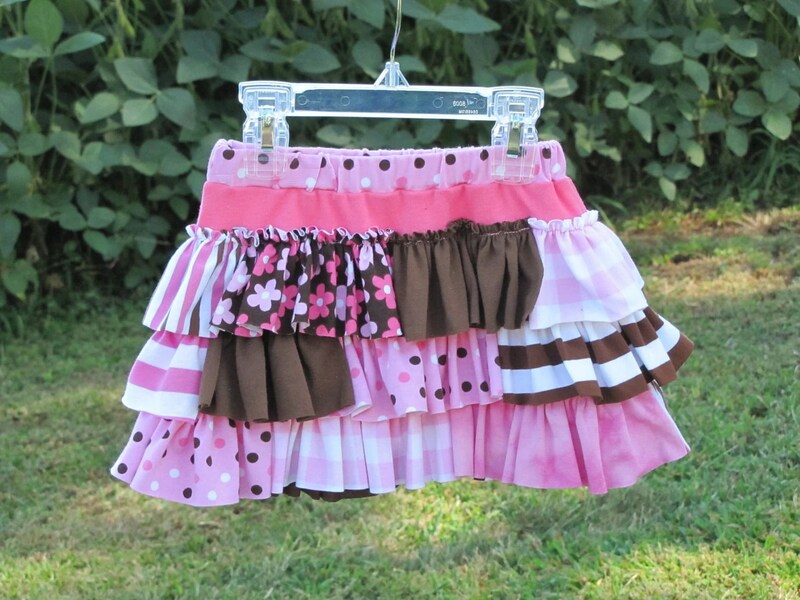 These skirts are just ADORABLE!! 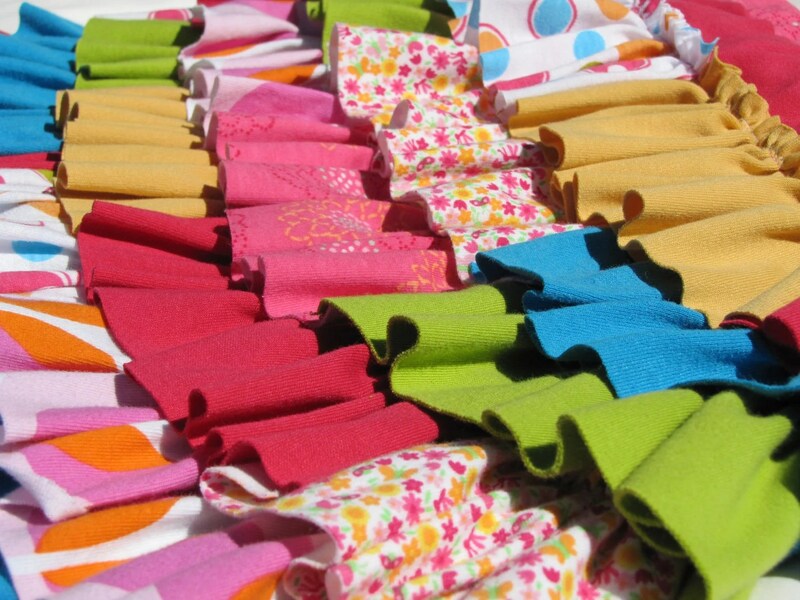 I would love to make a skirt with just as much “flippy-ness”, but each skirt has 37 pieces! When I am charged for each piece cut out, I can’t make them cost effectively. HOWEVER!! That doesn’t need to keep you from buying one for you girly girl. Every time my girls wear them, I get compliments and questions as to where I bought them. I also KNOW that they look great with the Ypsi Doll T-shirts. 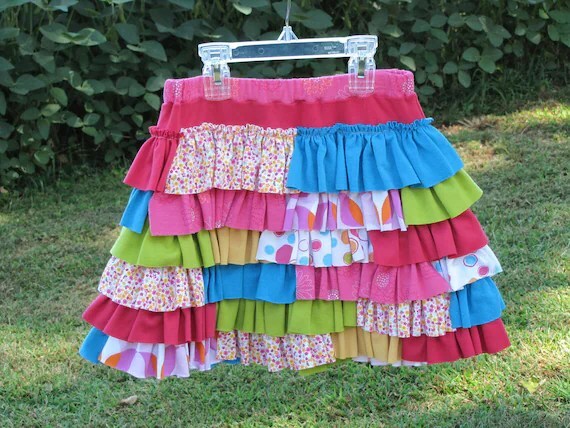 Spring just might be coming, and chocolate bunnies are wonderful to discover in an Eatser basket, but if you want something that lasts a little longer than a chocolate bunny (or to accompany a chocolate bunny) and gets just as many squeals of delight, buy your girly-girl one of these skirts. Aunt Graciela bought these two for my two girlies. We wear them with leggings and sometimes a sweatshirt when the weather is a little cooler, so the skirt is a spring, summer, fall outfit. This skirt even has a Christmas theme, so I guess the skirt is a year-round addition to any girl’s wardrobe. Can’t you see your girl in red leggings, a bright sweater, with a scarf ice-skating around the rink? Her cheeks are rosy and she is 100% your sweet girl. You can visit Bullfrogs and Butterflies on Facebook. Or at their Etsy store. The skirts are $35.00, and Teresa can even make custom orders (i.e. school colors, seasonal themes, etc. . .) Teresa has an EXCELLENT eye for mixing pattern and prints. The pattern for the skirt can be found at Lily Giggle. Along with many other patterns that are as adorable, creative, and unique as they are easy to make. This entry was posted in She said... and tagged bullfrogs and butterflies, girlie skirt, great etsy shop, lily giggle, spring skirt, ypsi doll. Bookmark the permalink. Thank you for the wonderful blog post. You are super talented and super kind as well..